Stalon VICTOR L, feather-light weight, slim design and an unbeatable performance for calibers from .222 to 8×57. The perfect combination when a silent, slim and light weight weapon is desired. Stalon VICTOR L presents a low weight, slim design and an unbeatable performance. The perfect combination for a light, quiet and well-balanced weapon. 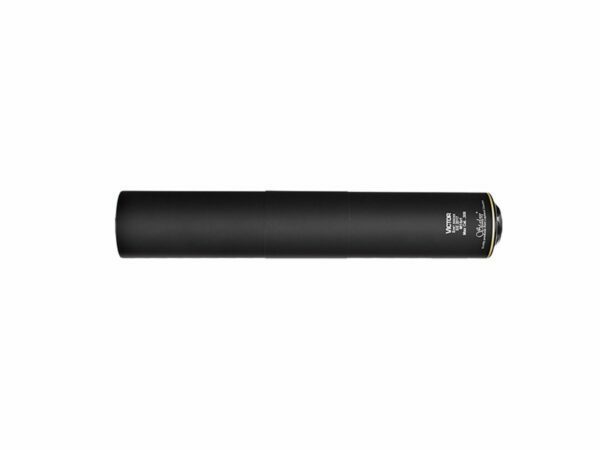 VICTOR L is ideally suited for stalking, posted hunting or similar hunting styles where the silencers performance is crucial. 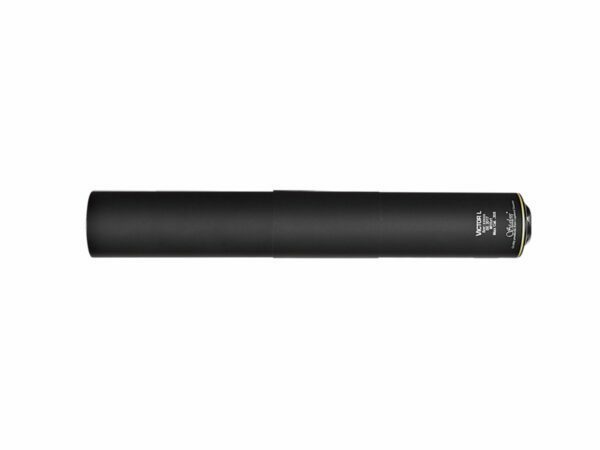 Stalon VICTOR L is a telescopic silencer, which means that the overall length and weight are distributed more evenly over the weapon's thread. 95mm of the silencer goes back over the barrel and the remaining 163mm in front of the muzzle. A telescopic design improves the balance and allows an extra support point in the rear part (barrel support). VICTOR L fits most calibers between cal. .17 and cal. 8x57. 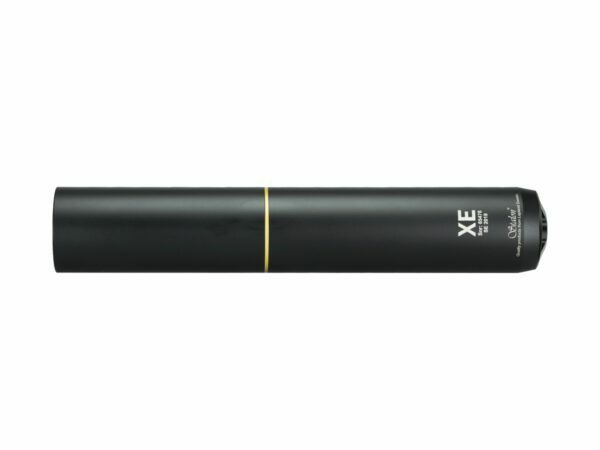 However, the silencer provides the best effect and sound reduction from cal. .222 to cal. .308. VICTOR L is the longer model from the VICTOR-Series, with an extension of 163mm and an unbeatable sound reduction, the lighter and shorter VICTOR is recommended if minimal and flexible size and weight is desired. The VICTOR-Series consists of two models with varying length, weight and sound reduction adapted for different types of hunting and shooting. Common to both models is its slim and feather-light design, with a diameter of only 41mm. The two models differ in both performance, length and weight, the longer VICTOR L presents an unbeatable sound attenuation while the shorter VICTOR is the small and lightweight of them. 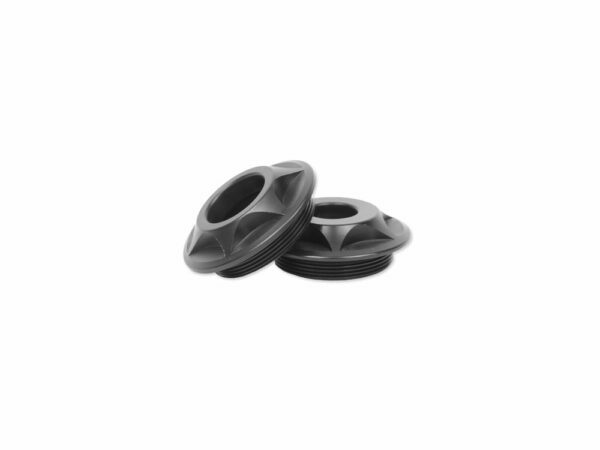 Both VICTOR and VICTOR L, unlike the W-series, are supplied in fixed calibers and threads, caliber and / or thread can therefore not be changed or varied, in return the VICTOR series presents a better overal performance in relation to its size. However, if the silencer has been damaged due to mishandling, careless usage or just from an accident, the warranty cannot be applied for repairs. Even if the warranty does not apply, we want to help you, and of course for a decent price.